Put 1 teaspoon of chocolate syrup in each cup. Mix the whipping cream and ¼ teaspoon each of the cinnamon, nutmeg, and sugar. Whip the mixture until you have soft peaks. Place the last 1/4 teaspoon of cinnamon into the coffee and stir. 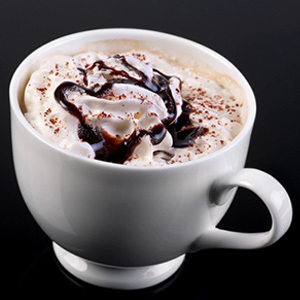 Pour the coffee into your cups and stir to mix in the chocolate syrup. Top with the whipped cream mixture.